Kills and repels flies ticks mosquitoes and gnats. Water-based formula won't attract dust and grime and offers long-lasting protection against a wide array of insects. Can be effective for up to 30 days. Economical Protection from Biting and Bloodsucking , Flies, Gants, and Mosquitoes. Just mix this concentrated formula with water and you're in business. Kills and repels biting and bloodsucking flies, plus gnats, mosquitoes and ticks. One quart of concentrate makes 8 quarts of ready-to-use fly spray. 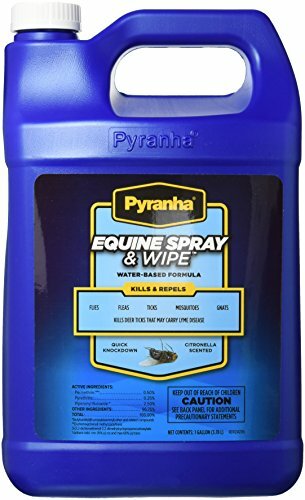 •Kills and repels horn, house, stable, horse and deer flies, plus gnats, mosquitoes and ticks •Kills and repels deer ticks that may transmit Lyme Disease •Kills on contact •Contains Prallethrin and Piperony Butoxide •Available in 16 oz., 32 oz., and gallon sizes. 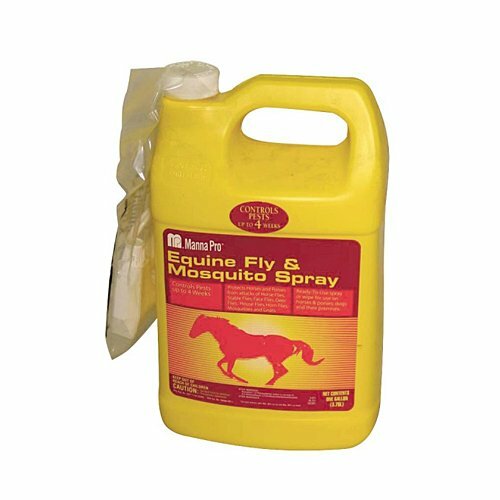 Manna pro 0593405864 ready to use equine fly and mosquito spray is for use on horses, ponies, dogs and their premises. 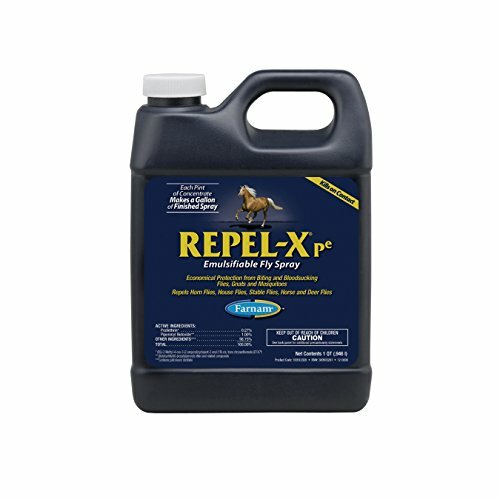 multipurpose spray keeps flies and mosquitoes from biting and irritating horses and dogs and spreading disease. can also be used as a premise spray. Insects are more than annoying; they can also transmit serious diseases. You can't always be there to apply fly and insect protection, but Equi-Spot Spot-On Protection for Horses does the job for you. Applied once every two weeks, it provides long-lasting control against dangerous ticks that can spread Lyme disease and mosquitoes that may transmit West Nile Virus and Equine Encephalitis, as well as biting flies and gnats. 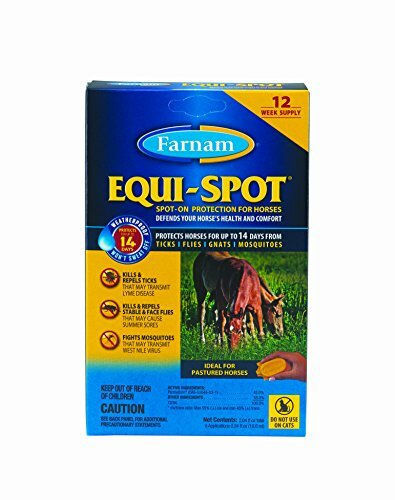 •Protection lasts for up to 14 days •Ideal for pastured horses •Won't wash off in rain or when your horse sweats •Available in a 6- or 12-week supply. 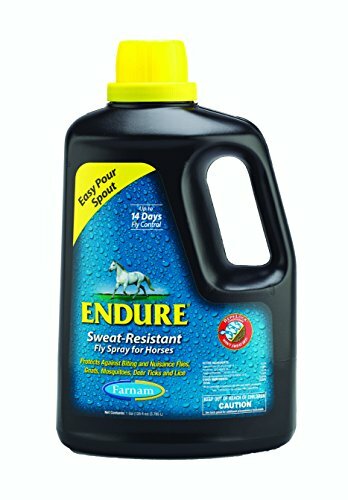 You can't seal your horse in a fly-free zone, but Endure Sweat-Resistant Fly Spray for Horses is the next-best option. Its unique formula keeps on working - even in wet conditions such as sweat and rain. Protect your horse from biting and nuisance flies, gnats and deer ticks that may transmit Lyme disease. 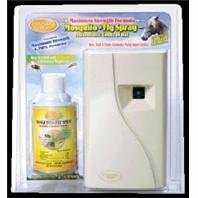 •Stays active and keeps working, even in wet conditions •Provides up to 14 days fly control •The only fly spray with RepeLock conditioner, which binds to the hair shaft •Protects against biting and nuisance flies, gnats, ticks, and lice •Repels and kills deer ticks that may transmit Lyme Disease •Provides repellency and quick knockdown of mosquitoes •Contains Cypermethrin, Pyrethrins, Piperonyl Butoxide, and Butoxypolypropylene Glycol •Available in 32 oz. ready-to-use spray and gallon sizes. Flys-Off Mist Insect Repellent in a convenient 6-ounce. 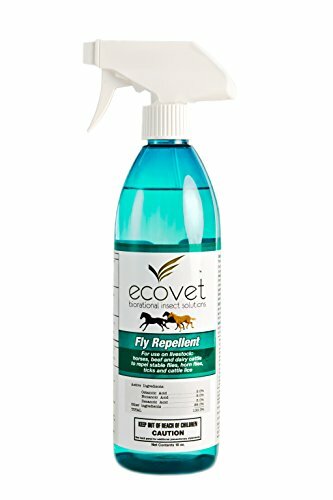 pump spray for control of flies, gnats, mosquitoes, fleas, ticks and lice. UltraCruz Horse Natural Fly and Tick Spray, 32 oz. UltraCruz Equine Natural fly and Tick spray is a highly effective spray utilizing the power of mother nature to safely help keep your Horse fly and Tick free! this potent blend of peppermint oil and clove extract repels many different forms of insects without the use of harsh pesticides that can harm your Horse or impact the environment. Contains 1 6.9 oz can of maximum strength mosquito & fly spray & 1 automatic dispenser. Barn stall & stable automatic flying insect control. Kills & repels flying insects including mosquitoes. Works automatically - 24/7 for 30 days!. EPA registered-usda authorized.